Regarding competing scouts, I wanted to expand on what I posted about having recognition for winners and also a group goal for everyone. The point being that if a lot of your troop activities are competitive and there is a winner with many losers, then incentive to really try or even participate goes down. There was a show on TV a couple years ago called "Kid Nation". The 40 child participants were divided into 4 teams for the duration of the series and they competed against each other. The show was kind of weird, but I found their challenges very interesting. Each challenge had a winner, but every challenge also had a second part - if ALL teams completed the challenge within a set time, everyone would receive a second reward. This second reward meant that every team still had incentive to do their best, even after the first team finished and they knew they couldn't win. This is similar to a cross-country running team. We all run to be the best and win a race but the top 5 or so runners on each team gain points for their team. I may not be the fastest person on our team, but the better I run, the better our team places. I may be the 7th best on our team in one race, but the next race I might be 4th - there's always incentive to run my best. Our team may not have an individual runner win a race, but our cumulative team score could still win. I know I'll never outrun the top guy on our team, and he has a jacket covered in medals, but I still contribute to the success of the team and I try to improve my own skills. How would adding a 'group goal' to competitive Scouting activities change the dynamics? If there is a single winner, whether patrol or individual scout, once that winner finishes the challenge ends. No one else has any incentive to continue. If there are 1st, 2nd, 3rd places then the activity lasts longer but still only until the last place that receives a reward completes. every team does their best to complete the challenge until the time limit is reached. teams that complete have incentive to stay involved and cheer other teams on. support, advice, maybe even physical assistance from 'better' teams to 'struggling' teams can occur. competition and cooperation can happen at the same time. Before January's PLC meeting, I'll be talking with the SPL about this style of activity for troop meetings. If he agrees with me to give it a try, I'll ask him to promote it to the PLC. Whatever race, relay, or game the PLC comes up with that sounds competitive for the next three months, he'll have them add a 'cooperative' goal to it. I think this secondary reward needs to be instant, affected only those in attendance, such as sharing a box of Oreos - something fun and immediate. I'lll let you know how it goes. I just received a Christmas card from Larry in Colorado. It made my day! Larry won the scoutshop gift card last month and wrote to thank Scouting for the life experiences and adventures his son has enjoyed. I thought that was pretty cool. Charlie Brown would have been a good scout, I think. He represents boys going through those times when it seems nothing goes right, yet he refuses to give up. He keeps his sense of right and wrong, staying loyal to his friends. I don't recall him ever being mean spirited to others and often doing good deeds. 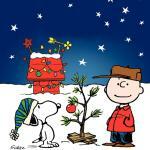 So, Merry Christmas to Charlie Brown and everyone else that stumbles across this page. If you'd like to recover some of that $$$ you spent this year, take a minute to read this post and leave a comment there. Recently, it's been common for companies to market their concern for and effort to protect, preserve, and restore the environment. It seems everyone is 'going green', often in an effort to earn more business without a real commitment to the cause. But, there are a few companies that have had environmental stewardship as part of their corporate ideology from the start. Tom's of Maine has been around since 1970 and are celebrating 40 years of offering wicked fresh products and supporting the planet at the same time. This isn't just a token support either. They do no animal testing. They use no artificial colors, flavors, fragrance, or preservatives. They use recycled content in packaging. And, quite impressively, they commit 12 days of each employee's workyear to volunteer efforts, as well as give 10% of profits to human and environmental goodness. Show me another company like this one. They even list all their ingredients and what they do on their website. The corporate philosophy at Tom's of Maine is a key reason why I support them. Another is that I believe they have good products. Their Wicked Fresh! toothpaste works great, and is all-natural and long-lasting. It fights cavities and uses natural oils for flavor. A special, natural extract extends the breath freshening to last hours. Follow up a brushing with Tom's non-alcoholic Wicked Fresh! mouthwash and you're good to go. I like that there's no alcohol in the mouthwash and the cool mint gives a nice kick. These are still 'smellables' so they go in the bearbag at night, but there's just something that feels right about using all-natural products when out in nature, don't you think? Even my wife, who's been a staunch Colgate user forever is sold on the Wicked Fresh! toothpaste and mouthwash. Tom's is using the Wicked Fresh! tagline for a great contest that you should take a minute to enter. It's a fun way for Tom's to give back as they spread the word. Just visit the That's Wicked Fresh contest page and tweet a wicked fresh moment you've had. For me, my wicked fresh moment this year was standing on the 13,000 foot summit of Cloud Peak in Wyoming with my youngest son on a clear blue, cloudless day. The air was crisp and we could see the entire world from up there! Go tell Tom's about your wicked fresh moment and you might win a $500 Target gift card or other cool, fresh prizes. If you Follow @TomsofMaine on Twitter or Like them on Facebook you get additional chances to win in their contest. I've noticed Tom's folks are very active on both Twitter and Facebook, posting and responding to others' posts and tweets. Now that you know what Wicked Fresh! is all about, leave a comment here describing your wicked fresh moment for a chance to win a $50 gift card. Oh no! We're out of matches! It's a good idea to have a couple backup fire starting methods available and a better idea to know how to use them. They aren't all easy, but here's ten ways you could get a fire going - with a little luck and perseverence. The list goes from most to least practical, in my view. Matches - simple, cheap, easy to use. Diamond Strike-Anywhere matches or Wooden matches, instead of cardboard, dipped in wax and stored in a film cannister work great in all weather. BIC Lighter - as long as you don't crack the plastic container, these are cheap, easy, and usable in all weather. They are difficult for younger scouts. Ferrocerium Striker - very easy way to make sparks. As long as you have fine, dry tinder that catches a spark, you're good to go. Flint and Steel - the classic. With some practice, sparks are the reward. Fire Piston - a fun way to create an ember through simple air compression. Bow Drill - (also hand drill) With some sweat and perseverence, you get a lot of smoke and finally some chardust with a glowing ember. This is my favorite 'primitive' method and I have lots of room for growth. Magnifying Glass - also a clear ball of ice or water in a baggie can work. Focusing the sun's rays to a point on some good tinder starts it burning. Only useful on sunny days. You can use the concave bottom of a soda can too. Fire Plow - same principle as a bow drill, but takes more work and just the right wood. Battery and Steel Wool - in an emergency, or just for show, you can shortcircuit the battery through the steel wool which ignites. Not practical for planned fires, but will work in a pinch. Piezo-electric Igniter - these are in your gas grill and make a small blue electric spark. It won't get an ember going, but can ignite liquid fuel. Best for experiments, not fire lighting. You can read more about these fire starting methods at Campfire Dude. I've told you a few times about the SPOT Satellite GPS messenger that our troop uses on our backpacking adventures.� It's a great little gadget that gives you access to rescue help in an emergency, but more commonly lets folks back home track your progress through the wilds.� And, when you get home, you can tie your photos to your trek route for an interactive view. If you missed past deals from the folks at SPOT, here's another one that sounds pretty good.� When you buy the new SPOT Messenger, you get a $50 bonus adventure kit that includes 15% off Basic Service, a flotation case, LED flashlight, safety whistle, bandana, lanyard, and keychain.� Maybe your troop should put one of these in its budget for the coming year and get it for Christmas. If you only use it for a single Philmont trek, the annual service with tracking would just be around an extra $10/person.� But, you'll surely use it for many other outings.� It costs our scouts about $2.50/year for the troop to have one.� We've used it for backpacking, canoeing, and biking.� I've even taken it on 10-mile practice hikes so parents could see when we were approaching the pick-up location so they'd be there on time.� It's cheap insurance and a good use of technology in the scouting world. At the troop meeting last night, I got to hand out 3 Zero Hero patches to the adults that slept out last weekend in the snow storm and -8 degree temps. The hope is that all the scouts in attendance will want to get one next month on their Okpik campout. I also presented two assistant scoutmasters with all their patches, troop neckerchief, and "Trained" patch since they just finished their training last month. They are both in their first year with the troop so it's exciting to have them ready as resources for the next six years. The majority of the meeting was the quarterly Court of Honor. This one was led by a First Class scout working on his Communications merit badge. He presented all the earned merit badges, did the ceremonies for each rank advancement, and even added a Minute at the end. He was very well prepared and did a great job. WOW! What a great weekend campout! Minnesota had the biggest snowstorm in a long time this weekend, but it worked out just fine for our campout. We left Friday evening and got to Camp Stearns a couple hours before the snow started. It fell all night long and you can see what our Saturday breakfast looked like in the top photo. We were fortunate that we camped south of a high ridge which blocked most of the frigid wind driving from the north. Saturday was devoted to cooking, sledding, and some sporadic scout games. With the near zero temperatures, keeping interest in games was difficult for the two scouts running the show. 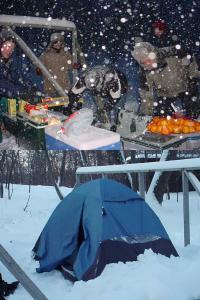 We had so many scouts that the troop split into two groups, each with its own heated shelter about 1/4 mile apart. Saturday evening was spent at a nearby ski hill that was having a "Scout Days" special price. Since many roads were drifted shut and the wind was atrocious with windchill close to -20F, we were practically the only people on the hill. But, what they lost in lift tickets, they more than made up in food sold to the hungry scouts. I just stayed in the ski lodge all evening helping a couple scouts with advancement and chatting with guys that came in for breaks. The temperature dropped to at least -8F last night so I've now slept out below zero in a tent, in a snow shelter, and under the stars. My Cabela's winter bag does a super job down to about -15F. Next month, we do it again. This past summer, at BSA summer camp, four of our scouts did the Wilderness Survival merit badge. As part of that badge, they each made a cool alcohol pocket stove - directed by the camp staff. Ken at PK Stoves asked me to try out his Pocket Stove on some camping trips and let him know how I liked it. This is a professionally made popcan alcohol stove. It weighs practically nothing and is intended for lightweight backpacking. A 2oz. 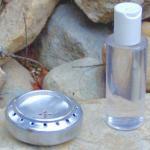 clear plastic filler bottle is included. This holds enough fuel to boil about 8 cups of water - that's 3 meals. I think the best fuel to use is denatured alcohol and is easy to find in the Paint department of any hardware store. I tried the Pocket Stove on two outings and it worked just great. An aluminum sheet for a windscreen and the stove burned just like my gas stovetop at home, heating water in just a couple minutes. Like any tool or piece of gear, I feel these kinds of stoves are practical and safe given appropriate training and respect. For just $10, you get the stove, filler bottle, instructions, and shipping - a pretty easy gift for that outdoors person you know that has almost everything, especially if s/he isn't a DIY type. Just don't use them on scout outings. In your latest Guide to Safe Scouting, you'll find Soda Can Stoves are prohibited by the BSA. I guess the summer camp staff didn't read that page. In response to my previous post about recruiting tips, someone asked about specifically recruiting NON-Webelos. Well, here you go. I'd love to hear from anyone that tries them. There are a lot of 5th and 6th grade boys in your community that were not active in the Cub Scout program. This is a prime time to recruit these boys into your troop, along with Webelos crossing over from Packs. Recruiter Strip - If a scout gets someone to join, the scout gets a patch. And, there's a special spot for it on his uniform. First Class Requirement - Push the "tell a friend to join" requirement to be one of the first requirements for all new scouts. There's a better chance of getting someone to join at the same time rather than a year later. Free Camping - Every scout that brings a friend on a camping trip, gets to go for free. Non-scouting Activity - Plan a non-scouting, two-hour activity just for the new scouts and their friends. Bowling, swimming, basketball, anything physical and indoors that non-scouts will enjoy as much as scouts. Scouts can only sign up with a non-scout buddy. Sports Teams - Remind scouts that the end of a sports season in which they play is a great time to ask the other guys on the team, "So, now what are you gonna do?" and invite them to try Scouts. Trinkets - our troop has wooden nickels which scouts can give to friends to promote the troop. Troop Open House - A specific time planned for introducing boys and parents to scouting. See this document. School Talk - If you can get access to your local school, giving a short promotional talk to the 5th grade and/or 6th grade boys can be successful. See Page 20. Scout Skill Day - Have scouts invite non-Webelos to your Scout-o-rama to learn some fun scout skills and impress their parents. Hidden Recruiting - If you do a fundraiser, include postcards to give with each order. The card asks the buyer to give it to the parent of a 5th or 6th grade neighbor boy and invites him and his parent to call for more information about the troop. A few years ago, we had an adult driver arrive at our campsite almost an hour after everyone else. He had an onboard navigation system which his family had nicknamed 'Loulou'. "Turn right at the next intersection." He loved this system because it saved him lots of effort remembering directions. Unfortunately, on this outing to a remote area, the system knew of a road that used to connect to another road, but now actually led to a deadend. After the system insisted he use that same road twice, he finally gave up and got help at a local gas station - the old-fashion way. If he had only upgraded his system's map information, he'd probably have been the first at the campsite and in a calm, worry-free mood. 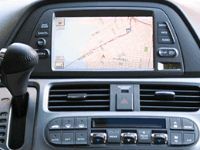 Most in-car navigation systems are driven by technology from NAVTEQ and the updates are easy to get. By visiting NAVTEQ's map update page, you can find the exact update for your vehicle with the latest road and travel information. How many people would think of this for a Christmas gift? You can give it to your wife as a gift that keeps the family safe, makes her driving easier, and doesn't need to be returned for the right size. You know Dad would be happy to have an up-to-date database of gas stations and new roadways so he never needs to ask directions along the way. I'd love it if all our Scouters had such a system to make our outings a bit more safe and easy. 96,000 gas stations - for coffee stops, bathroom breaks, junk food, and oh yeah, gas! Hey, there's no reason you can't get an update for yourself - just say "Merry Christmas to Me"!